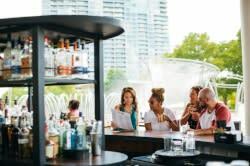 Cold winter days are the perfect time to cozy up at a Columbus coffee shop with some seasonal beverages. Here are five drinks we’re craving this winter! Bottoms Up in Franklinton is welcoming the season with a sweet and festive peppermint lavender mocha! Mission has crafted a new mocha that blends espresso, steamed milk, chocolate, and a dash of cayenne pepper. 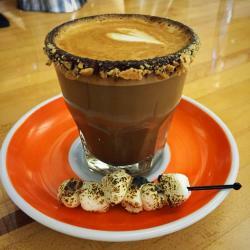 Roosevelt features a seasonal S’mortado, a cortado with a chocolate and graham cracker-dusted rim, served with toasted marshmallows. Tucked into Old Worthington, Highline Coffee is serving seasonal drinks like the Peppermint Mocha. 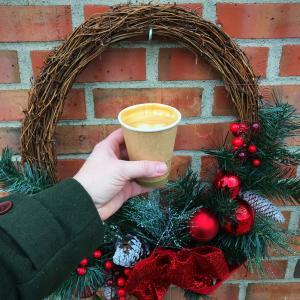 This tiny shop downtown is featuring seasonal drinks like the Ginger Snap Latte or the Maple Brown Betty with caramelized brown butter, sea salt, and a hint of maple. 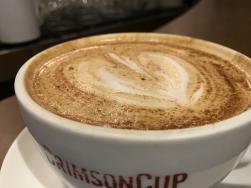 Crimson Cup’s seasonal offerings include a flat white with their award-winning Wayfarer Espresso or their Myanmar Coffee brewed with mulling spices. While you’re cozying up at one of these coffee shops, bring your Coffee Trail passport to collect stamps and win prizes!